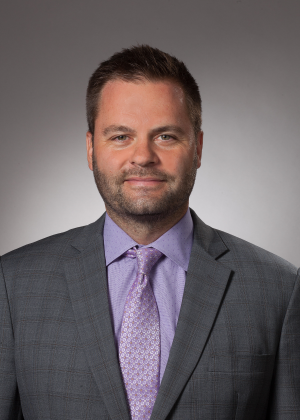 A trusted manager of comprehensive investment solutions, Cory Garlock is an accomplished Investment Advisor who holds the official designations: Certified Financial Planner (CFP®), Personal Financial Planner (PFP®), Chartered Investment Manager (CIM®), and Fellow of Canadian Securities Institute (FCSI®). He complements his education with 15 years of financial industry experience. Cory advises a select group of high net worth individuals, business owners and their families and tailors his solutions to the life/financial goals, risk tolerance and timeframes of his clients. Though he believes he excels as a primary advisor, Cory collaborates cross-functionally with financial area specialists and can work in tandem with an expanded team per client needs, while continuing to leverage the expertise, solutions and unique advantages offered by TD Wealth, one of Canada's largest, leading investment management firms. In the eight years prior to joining TD Wealth Private Investment Advice in early 2015, Cory worked with RBC's mass affluent clients as an Investment & Retirement Planner at RBC Wealth Management. With experience in trusts, Cory specialized in optimizing product mix for seniors, with an emphasis on conservative investment solutions. When not in the office, Cory enjoys spending time with his wife, two children and his Cocker Spaniel/Bichon Frise mix. Cory is also on the Kanata Nordic Ski Club executive board. Skiing has been a passion for most of his life. He also supports several animal-related charities.